In September 2018, two events took place that resulted in an increased reporting about Sweden in Chinese media. SwedCham has analysed the events and potential effects on Swedish companies in China. The results presented in the white paper below show that the majority of the interviewed companies have not been notably affected, and continue to show strength both as consumer brands, as well as employers. 77% of surveyed SwedCham member companies have not been negatively affected by the events. 23% of companies state that they have been affected, reporting mostly comments in social media, worry amongst customers and/or employees and cancelled meetings with partners, media and as examples. Overall, 8 out of 10 Chinese interviewed in Beijing and Shanghai have had an unchanged or more positive image of Sweden throughout the year. Among the 22% that report a worsened image, the effect of the events is clear. With 55% of viewers reporting a worsened image, the effect is most pronounced among viewers of the Svenska Nyheter segment. Companies express a certain uncertainty of long-term effects and ask for extended studies of Sweden’s brand in China focusing on the consumer market. SwedCham notices the need to initiate a dialogue regarding what types of communicative support that Swedish companies abroad may need under similar circumstances. White Paper: Analysis of late September’s media reporting. The show in question contains a two-minute “Information Film” for Chinese tourists travelling in Sweden. While this film is intended to be satirical, we are deeply concerned about the image it provides to members, partners, friends and families in the Chinese community since it contains negative stereotypes in a manner that can easily be seen as offensive or even racist. We find this “Information Film” highly regrettable, and not representative of the views that the Swedish people hold of the Chinese people. Swedish companies, for example, are highly attractive employers, boasting a lower-than-average employee turnover due in particular to their open and inclusive culture. We fully recognize the importance of upholding the freedom of speech, and free expression of individuals. As such, it should be recognized that the responsibility for the content lies with its producer alone. Note: Thank you for your many amused reactions. We have of course no plans to merge and refer to the date of publication for further explanation. Meanwhile, you can visit our Swiss friends at: http://cn.swisscham.org . In recognition of brand similarities, and to avoid further confusion, SwedCham and SwissCham China have decided to merge. The move is expected to be completed over the following months, with the Swederland Chamber of Commerce in China ready for business by the early summer. We look forward to combining our strengths and resources to provide better service to our member companies. There are a lot of areas for understanding: both countries being located in Europe have a history of neutrality, are great skiing nations and offer a world-class business environment. Some aspects of the merger, however still remain subject to negotiations. While Switzerland has Lindt and Federer, Sweden has Marabou and JO Waldner. The relative qualities of the Emmentaler and Västerbotten cheeses are also the subject of intense discussions, as is the primacy of the Swiss Army knife or Swedish osthyvel (cheese slicer). “Switzerland has always been very welcoming to Swedish companies, so there is nothing here that hasn’t been tried before”. The merge comes as a natural step to develop both chambers and we are glad to embark on this journey with our members. The election committee has started work to prepare its proposal for a new Main Board of the Swedish Chamber of Commerce in China. The proposal needs to be finalized by middle of March and will be presented to the Annual General Meeting (AGM) on April 20th. We are now looking for new candidates for our proposal. Please communicate any nominations to any of the members of the election committee per email. We appreciate to receive below information attached with any nomination. 3. Recent CV or Resume. It has come to our attention that an alleged count of sexual harassment has been reported during the Swedish Young Professionals Shanghai’s Christmas Party. We condemn any such acts in the strongest possible terms, as such behaviour has no place in the egalitarian environment we strive to foster. We are fully prepared to assist the victim in any investigation or other relevant process, as well as support our Young Professionals in creating festive conditions that are safe for everyone. 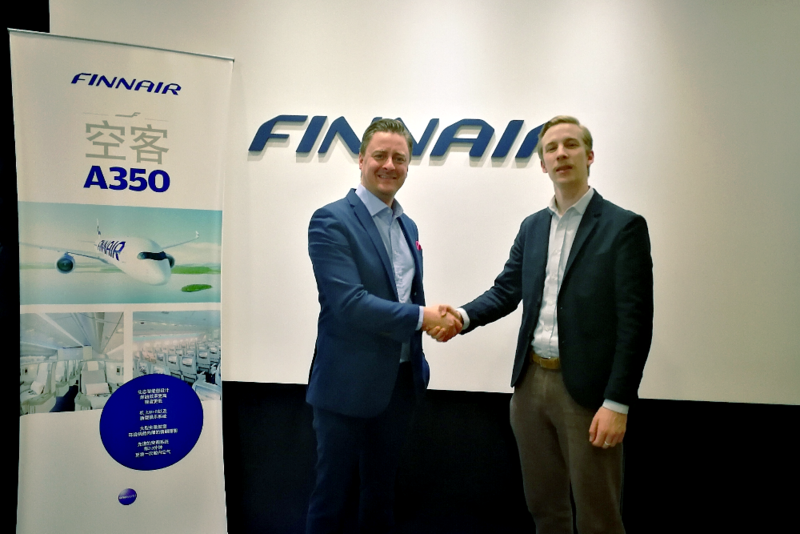 Finnair is really happy and honored to join the Swedish Chamber's Dragon Partners, and we are very excited to develop our partnership moving forward to create mutual added value for all the members of Swedish Chamber in China! In doing so, Finnair joins Atlas Copco, Handelsbanken, Mannheimer Swartling, Syntronics and Volvo Cars. Dragon Partners are important contributors to SwedCham's ability to serve its members, and by extension a great support for the Swedish business life in China. Interested in becoming a Dragon Partner? Contact martin@swedcham.cn for more information.